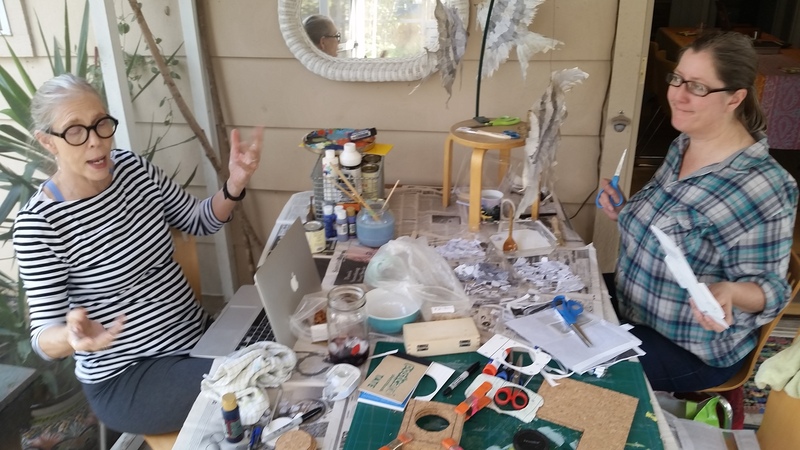 Kathy P suggested a craft day so we all gathered on the back porch to make useful messes. 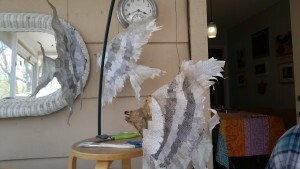 Lynell painted a birdhouse, Kathy worked on her paper mache angel fish, and I made a wireless charging cradle. I had some trouble setting up IntelliJ with the Atlassian SDK. Time to contribute! Initially the generated sample project had compile and POM errors flagged in Intellij. First I tried cribbing from the Netbeans instructions by adding the Atlassian repos to my POM. No dice. I decided to start over. 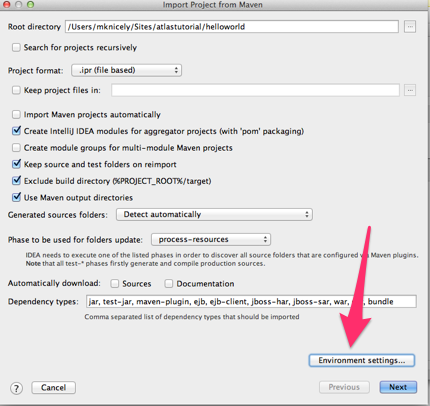 In the Import Project dialog I saw there are settings for the Maven environment. Eureka! 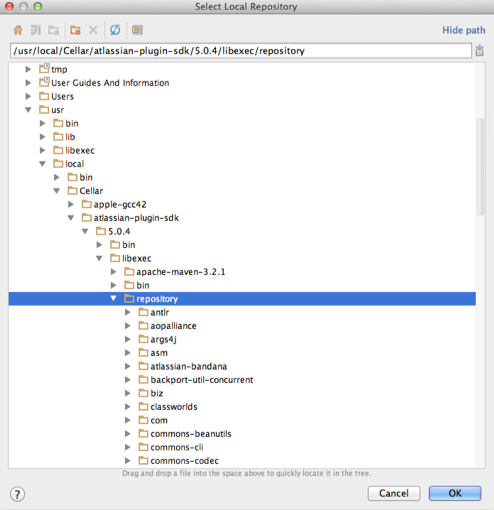 In the IntelliJ Run/Debug Configurations add a new Maven runner. Hrm… it runs fine but didn’t stop at the breakpoint for my plugin. I haven’t figured this out yet. I’ll update the post after I start my new job at Atlassian on Monday! 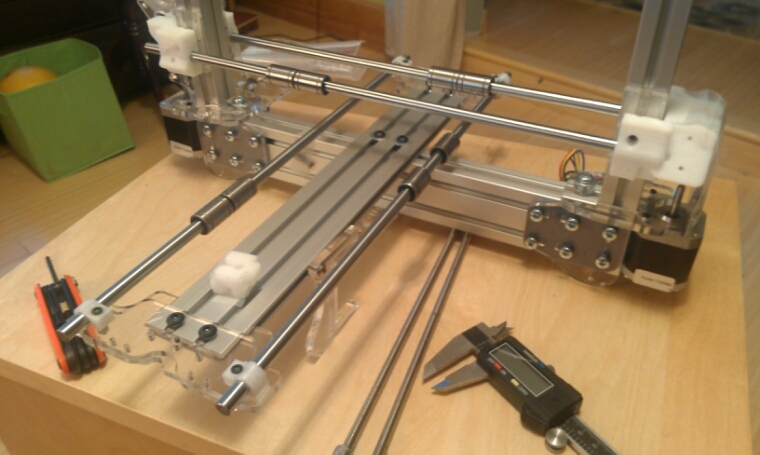 After a long hiatus I buckled down to get going again with the printer. I used the “nylon cold pull” technique to clear the nozzle… pretty slick trick. Ok here goes… Gumby Guns. 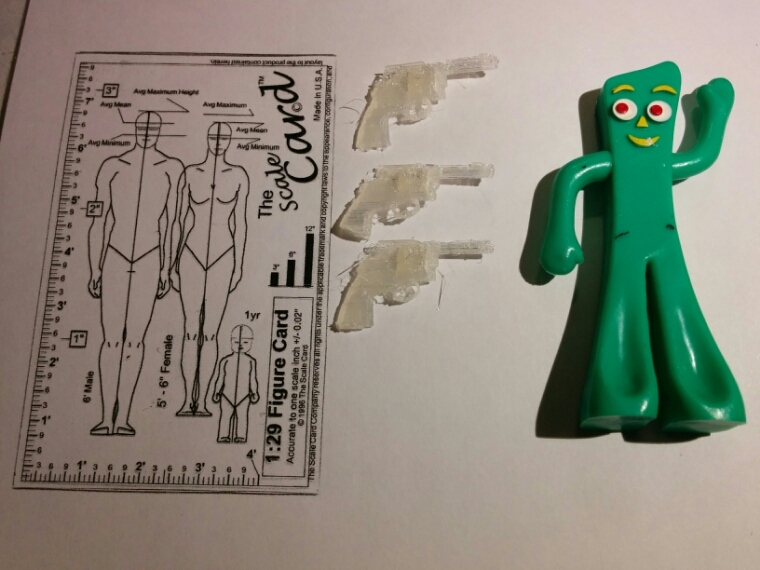 Gumby, a train scale card, and his weapons. My buddy Greg runs model trains and has cooked up a whole village of Gumbys and Benders to run the place. Some of the Gumbys are cops so they need guns. Among other things. 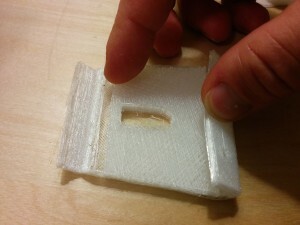 Really small things are tough to print! True 1:29 scale it’s too small even with 0.1mm layers so I doubled the size. I plated then upside down, barrel parallel to the bed and the grip sticking up. The pic is of my first batch. What you don’t see are the other three that got borked by as melty plastic booger on the nozzle. I managed to print a solo pistol with the barrel filled in, etc and it came out better. 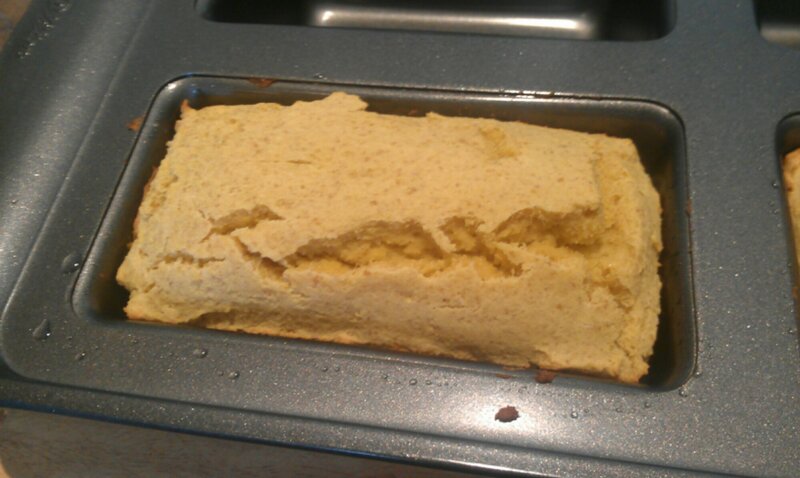 When I try to do groups though the nozzle drags a bit and knocks em off the plate. 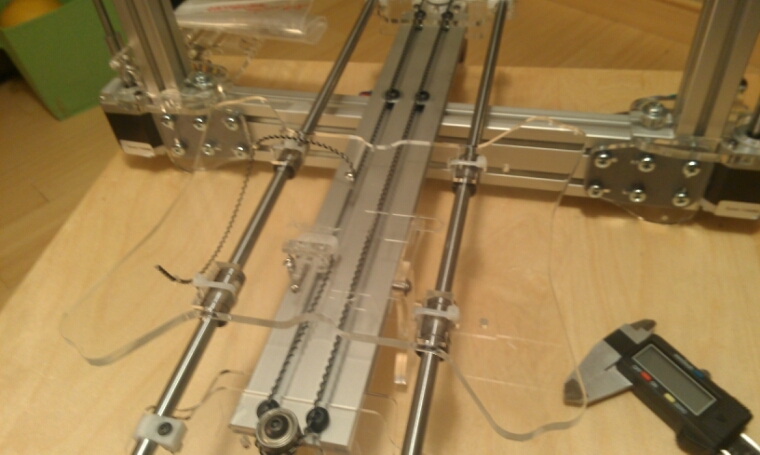 Gonna try placing the group at a 45 degree angle to see if that changes the path of the printing head. 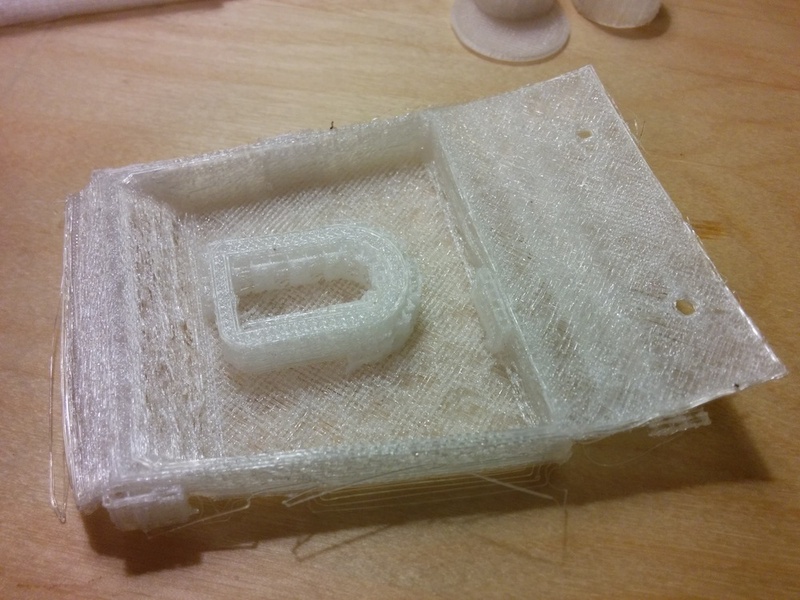 Also going to try a lighter touch on the bed leveling… I tend to adjust it down right to smoosh the first layer. Yay finally! I swapped out the cheapo PLA I got from Amazon for the good stuff from Matterhackers. Working great! 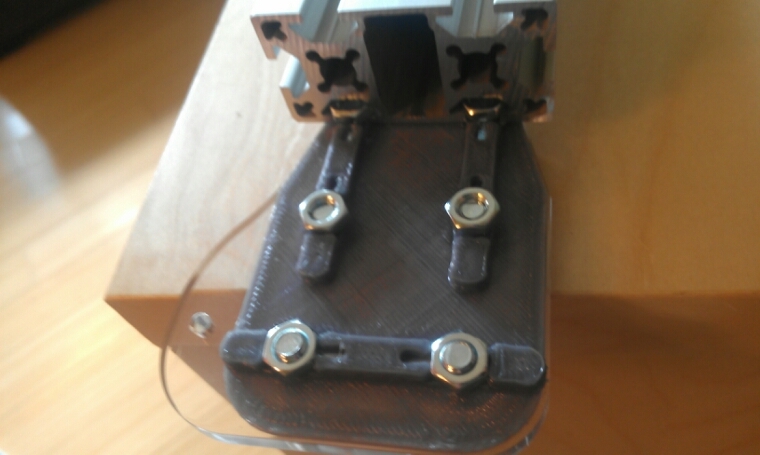 OK so with PLA mastered I was ready to tackle my dream… a cooler latch with a living hinge! This has become my “white whale” project. 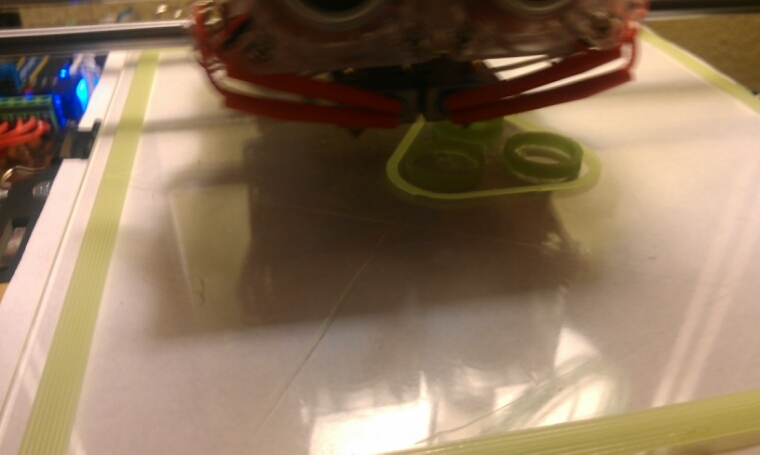 Many many many test prints later I can say with authority… Nylon is really difficult to print with. I’ve tweaked my printer and filament profiles every which way but what I get is more like a water filter than solid plastic. The flexibility is there (essential for a living hinge) but the rest of the piece is nowhere near usable. 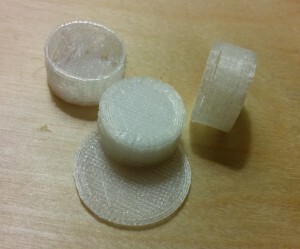 After that I printed many many test pieces. 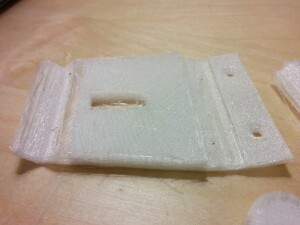 Bad de-lamination and rough top surfaces. 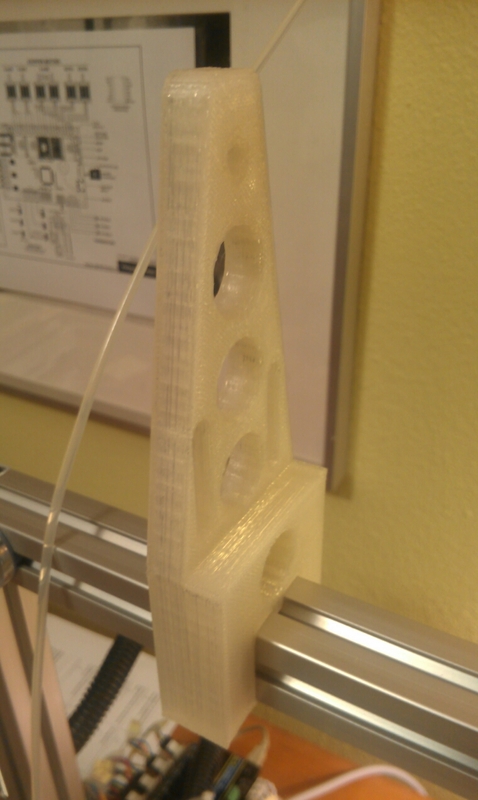 Top left is an attempt to “bridge”, standard in test pieces. See all the stringy bits? Not good. 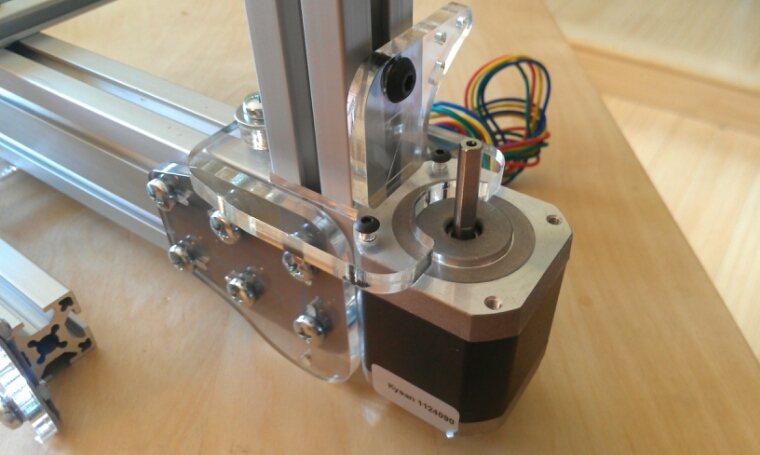 I redesigned it to be solid, thinking that would make those parts more robust. No dice. The living hinge part works great! Unfortunately the rest of it is super flexible too. For now I’m giving up on Nylon… I’ll come back to it. 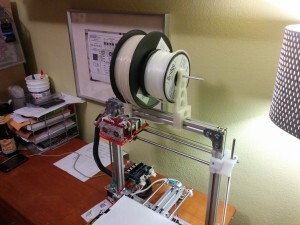 Thinking about taking advantage of the dual nozzles to print PLA for hard bits and Nylon for flexible bits, all in one part. In the meantime, time to learn my way around ABS. 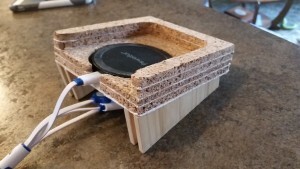 My friend Stuart needs a fan shroud for his mini server in a closet, perfect candidate for that material. Also Greg wants me to print some accessories for the Gumby’s that run his model trains. Huzzah! After breaking a bunch of glass, cursing Kapton, and putting my laptop in the shop I finally have my calibration print. Not done yet… hopefully I’m not jinxing it. My build plate temperature control seems to be stuck, it goes all the way to max no matter what I set it on. It’s at 150c! Much too high. This broke the glass I started with and several pieces of window glass and mirror before I learned about Borosilicate glass (heat stress resistant). Applying skinny strips of Kapton tape is maddening. Instead I’m spraying hairspray on the glass and printing directly on it. Works great! We’ll see how hard it is to remove the print. Aaugh! The printer stopped due to MAXTEMP. Time for some more Googling… at least the print came off the plate real easy! Finally I have time to continue! 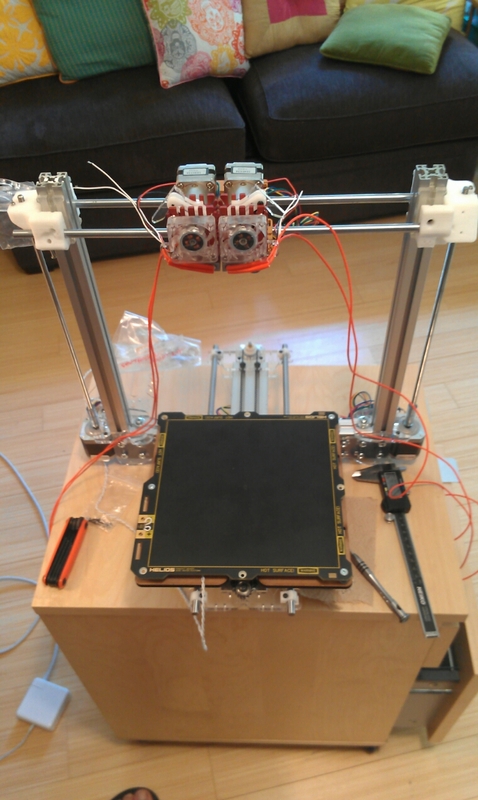 Heated bed and extruder in progress. 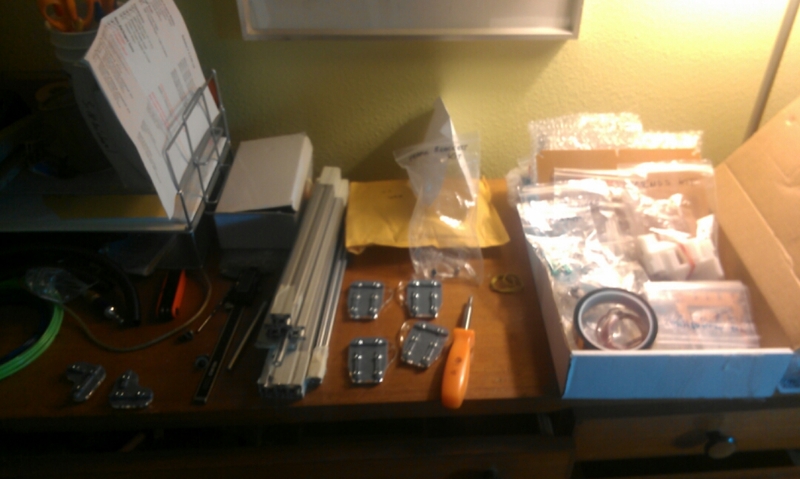 My Bukobot kit arrived yesterday so this morning I got to work. So many parts! I’m in nerd heaven. 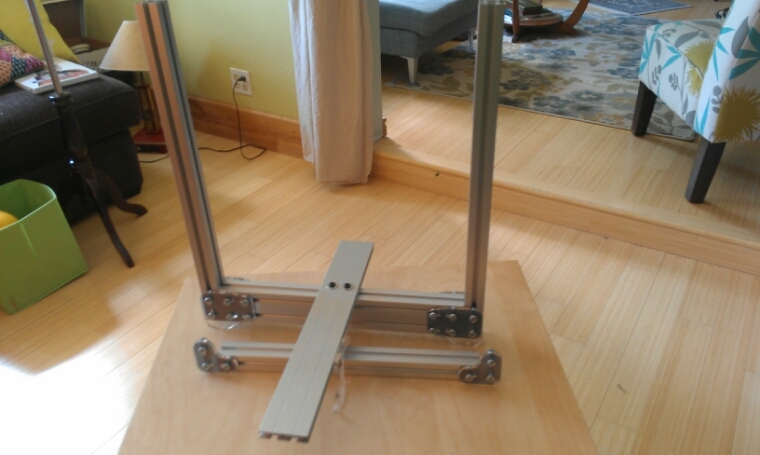 Whoever thought up this system for connecting milled aluminum bars was a genius. See how the clearance of nuts above the brackets creates slots for the aluminum channel? Also, the channel gap just the right size to hold the 5mm nuts from turning when you tighten the screws. OK that’s it for today. 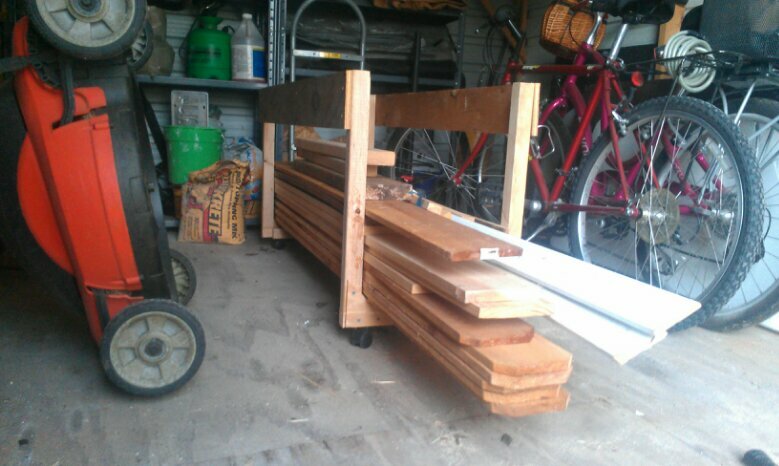 I cleared a shed and couldn’t figure out what to do with my scrap lumber pile. This weekend I put some of the scrap to use along with some cheapo caster wheels and slapped together this lumber cradle. Makes good use of the empty floor space too. I’ve been searching for a fluffy paleo sandwich bread recipe, maybe this one’s a winner? The trouble is I quit my browser without saving it. If it’s as good as i looks I’ll post it later when I find it again. I’ve been wanting to build this for a loooong time. When my parents came for a visit I decided it was the perfect project for father son bonding to get me off my duff. I got the plans for the Micro Compound Lever Biomass Briquette Press from Engineers Without Borders. Why do this? Well, I’m a bit obsessed with finding uses for waste. 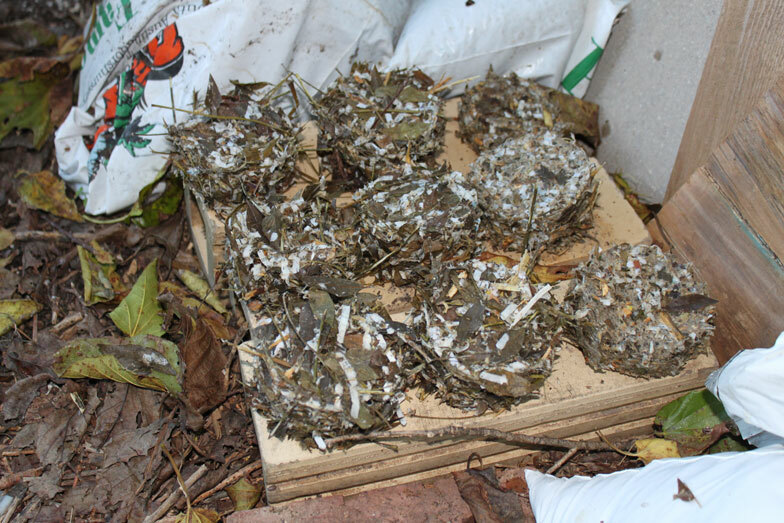 Food scraps go to the chickens or compost. Paper/plastic/metal in the recycler. I read in a novel you can make phosphorous from urine though I haven’t tried that one. So what about all those yard trimmings and leaves? Aside from conservation I want to prep for the inevitable zombie apocalypse by familiarizing myself with alternative fuel sources. … and here are some pucks. Don’t those look tasty? Actually they’re not nearly dense enough. The material that comes out of my wood chipper is too large, it doesn’t break up leaves and brush well enough for it to be packed tightly. The bottom right briquette is the best but that’s because it was bottom of the batch with lots of paper and sawdust. So that’s the next project I think, something to grind up brush into sawdust. 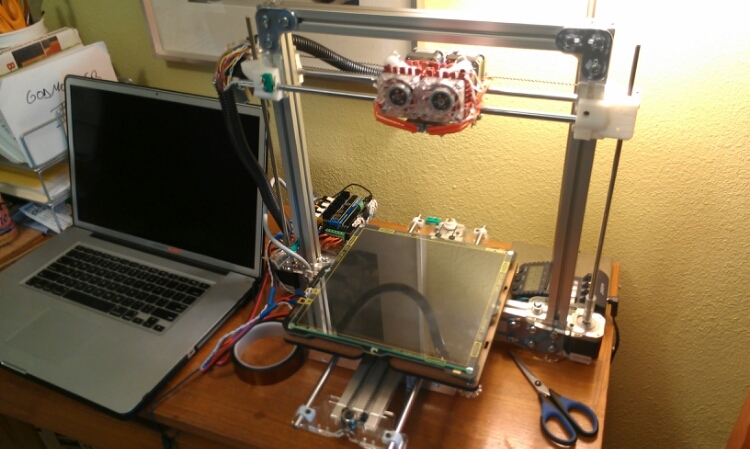 I also want a plastic granulator so I can re-melt plastic junk into filament for a 3D printer. 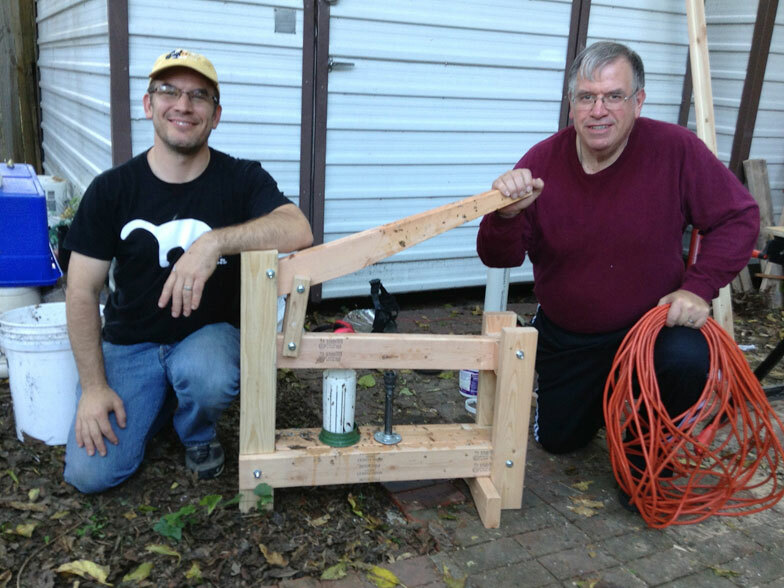 Engineers Without Borders has a design for a biomass grinder but I’m not too impressed with it. 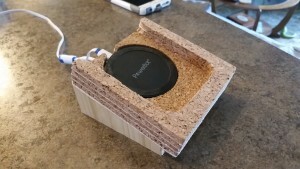 I bought inexpensive plans for a DIY hammer mill but that will only work for brush. 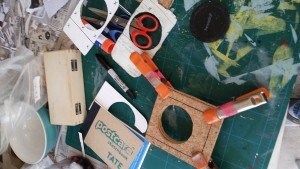 Still looking for a solid DIY solution that covers all the bases.